With approximately 2.23 billion active monthly users, there is no questioning the fact that Facebook has made its mark in the global community, connecting people and businesses around the world. No longer confined to just our computers, we carry it around with us every day, on our smartphones, always at our fingertips. But, how much do you know about this popular social media platform? Whether you rely on Facebook to connect you with friends and family, or to follow your favorite brands and celebrities, the social media giant has found its way into the lives and homes of the majority of Americans. 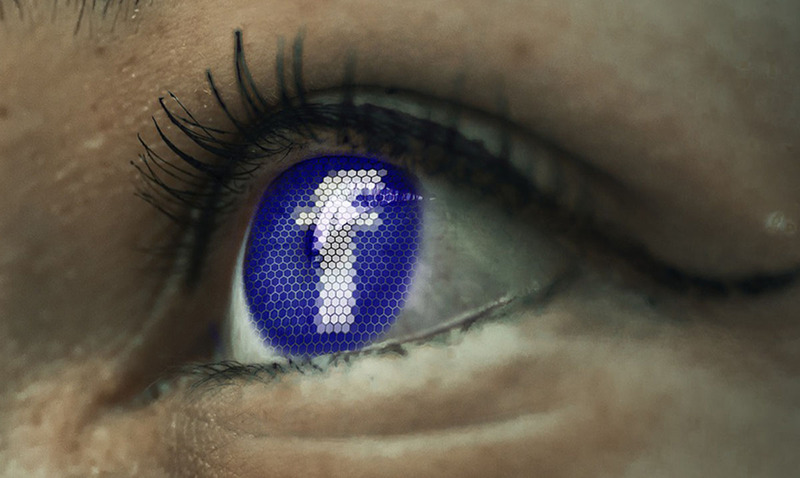 Your Facebook profile likely reveals a great deal about your life – your birthday, employer, spouse, favorite sports team or the movie you were watching last week. Maybe it’s time to learn a little about the history of Facebook in return! When you consider the timing of Facebook’s launch, it should come as no surprise that Zuckerberg also had his eye on the peer-to-peer file sharing market. After all, these programs were all the rage. Developed alongside Facebook, Wirehog was launched in 2004 and actively promoted throughout Facebook at the time. It was designed to enable users to share files between friends, such as music and movies. However, it was one of many programs to be shut down due to piracy concerns, with its last file shared in 2006. When Facebook was first released, there was a face on the homepage, greeting everyone who visited. While it was not known at first who it was, it was later revealed the face was that of Al Pacino, a sketch that had originally been created by Mark Zuckerberg’s classmate. In 2007, with the assistance of 200,000+ users in a Facebook Sneak Preview Group, the website received a complete overhaul, removing the face, which had come to be known as the ‘Facebook guy’, and replacing it with the ‘Facebook’ text that we recognize today. There is something to be said about the dedicated collectors who seek out items that others could only dream to be true, and this hoodie is definitely rare. The same hoodies that Mark Zuckerberg himself wore during the D8 Conference, they were made available to employees at the time. One employee decided to cash in on this limited-edition item, taking to eBay. Attracting a total of 48 bids, the hoodie eventually sold for $4,050! Mark Zuckerberg was apparently a huge movie buff, and this led to a number of movie-related references found throughout the site. In the old ‘Friends’ page, quotes would often be seen in the footer, the first being a quail-themed quote from ‘The Wedding Crashers’. Additional quotes followed, known as ‘quails’. They didn’t stop with quotes. There was a time where if you entered the Konami Code (up, up, down, down, left, right, left, right, B, A, enter) while on any page on Facebook, it would result in a colorful display of circles and flares. They say some people just know when they hear a good idea, gifted with a ‘business sense’, and there is no better way to describe Peter Thiel. The co-founder of PayPal, he’s well-off in his own right. However, when Facebook first launched in 2004, it was with the financial support of Thiel, seeing just what the social platform could provide. At the time he invested $500,000, later selling his stake in the company for more than $1 billion! Today, nearly every company has already been established and an employer on the popular platform, with the ability to add your own if it’s not already available. However, when the site first launched there were only 2 potential employers – Apple and Microsoft. The term ‘friends’ on Facebook may be slightly misleading, including everyone from your neighbor down the street to your best friend from high school, but to many, it’s an indication of popularity. While there are those that simply collect as many friends as they possibly can, research out of Oxford University in 2016 revealed that the average person had 155. That number, however, was expected to be rising and is likely even higher today. It’s a popular misconception that the biggest source of Facebook users is found right here in North America, however experts say that couldn’t be further from the truth. While the platform certainly is popular in this part of the world, 85% of its daily active users actually come from outside the borders of Canada and the United States.